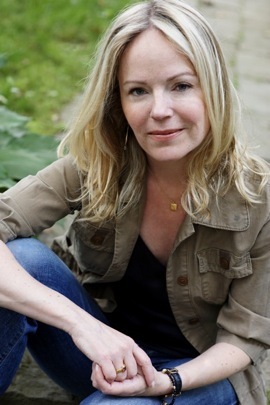 DANI SHAPIRO is the bestselling author of the memoirs Devotion and Slow Motion, and five novels including Black & White and Family History. Her work has appeared in The New Yorker, Granta, Tin House, Ploughshares, Elle, The New York Times Book Review, The Los Angeles Times, and has been broadcast on “This American Life”. She has taught in the writing programs at Columbia, NYU, The New School, Wesleyan, and Brooklyn College. She is co-founder––along with One Story Magazine––of the Sirenland Writers Conference in Positano, Italy. Her new book, Still Writing, will be out in 2013. This week Dani took some time amid travels to answer a few questions for us. Hear her read at Fiction Addiction 10/30/12. I just turned in a new book, STILL WRITING: The Pleasures and Perils of a Creative Life. It’s both a memoir and a book about writing. It will be out from Grove/Atlantic next Fall. I always have a few looming deadlines — at the moment, a couple of essays, one for The New York Times Book Review, another for Travel+Leisure, another for an anthology — but always want to be sinking my teeth into something longer because I feel better when I’m engaged in a book. You said in an interview with Bold Type that you write by hand. I’m always curious when writers cite this as their preferred method, because it’s something I have never been good at. What does this do for your writing that writing by computer does not? Well, a couple of things. One, it takes me away from the possibility that, with one click, I can be on the Internet — which I think is disastrous for writers — Ron Carlson once said that writing on a computer is like writing in an amusement park. Before I know it, I can be on a website looking at a pair of boots, and wondering how the hell I got there. Also, the tactile feeling of moving a pen across the page creates, I think, a different relationship to what’s happening on that page. I like that when I cross out a sentence, it actually looks like it’s crossed out — not just deleted. That the messiness of the creative process is right there — as opposed to cutting, pasting. There is an honesty to that messiness. A longhand draft looks like the beast it is. How does the process of writing a novel differ from the process of writing a memoir for you? Are they even remotely similar? They’re both storytelling. Good memoirs, ultimately, are stories — and the memoirist’s job is to find the shape of the story within her own life. But memoir and fiction use very different muscles. The writing of a memoir is the excavation of memory — and the creative high-wire act of memoir has to do with what can be shaped from that memory. The writing of fiction is an act of imagination — and imagination and memory are very closely linked but they are most definitely not the same thing. Can you talk a little bit about working with Grace Paley? She was an amazing teacher–both in terms of her example–the way she lived her life as a fiction writer, poet, teacher, mother, wife, concerned citizen, activist–I learned so much from just simply watching. But something I’ve noticed over the years is that Grace’s small teaching moments–little nuggets of wisdom–have stayed with me and, in fact, have morphed and grown, so that decades later, I will suddenly realize: oh, so that’s what Grace meant. What piece of advice has been most helpful to you in your writing? Perhaps my favorite piece of wisdom about writing comes from an essay the editor Ted Solataroff once wrote, called “Writing in the Cold: the First Ten Years”–in which he mused about why so many talented writers just stop… just disappear. And in trying to understand what quality the ones who stick with it possess, he comes up with the word endurability. The ability to endure. I’ve always found that to be a beautiful and very lucid idea. What have you gotten from teaching in MFA programs or from teaching in general? When I teach, I distill my ideas about writing–which can be very useful. When I’m writing, I rarely think about what I’m doing–but when I teach, it’s necessary to break down craft into elements, to take apart the machine and figure out what makes it tick. Also, I love my students. The exchange of work and ideas is as close to a sacred community as anything I know. When I have referred to the MFA as a degree which entitles students to nothing, it has been an attempt to get my students to stop thinking of the MFA as a professional degree, but rather, as an incubator, a time to experiment, to try, to fail, to fail better (in Beckett’s words). Too often, I’ve seen students freeze up, when enrolled in MFA programs, because they’re terrified, and so much is on the line, and what if they don’t figure out how to write their first novel while they’re there… what if they get out of this program in debt, with no skills that translate into the workplace–what then? And the result is a deeply uncreative, competitive environment — the opposite of what it should be. So… no, I don’t recommend MFAs to every aspiring writer. It’s right for some, and not for others. More than anything, I think of it as that incubator–a chance to read and write and be exposed to new ways of thinking, new authors, new forms, to be inspired, to meet peers and mentors. I think there are multiple ways to make that happen, with enough ingenuity. You helped establish the Sirenland Writers Conference in Positano, Italy, which I’ve heard wonderful things about from past attendees. What led you to cofound a conference and what led you to Italy specifically? The creation of Sirenland was entirely accidental–and has grown into one of the most wonderful things in my life. My husband and I met the owners of this beautiful hotel in Italy at a dinner party, and they asked if we’d like to bring some writers over for some sort of class. We then asked Hannah Tinti, a close friend and editor of One Story magazine, if she might want to do this with us. And it grew from there. The first year of Sirenland, we had one workshop of ten students, and I taught it. The second year, we invited John Burnham Schwartz to teach a second workshop. The third year, we invited Jim Shepard and Peter Cameron, and now there were three workshops–a total of thirty students. And this is where we’ve kept it. In recent years, Jim Shepard has returned numerous times, and Susan Orlean has come and Ron Carlson, and this year Karen Russell will be teaching. Sirenland is about the writing, period. Not about the business. Not about agents, editors, publishing. And I think that the people who attend, leave there feeling inspired and buoyed by the possibilities. There’s a beautiful line in Slow Motion about Hebrew, which perhaps pertains to your Orthodox upbringing itself: “Sometimes I think I have locked it deep inside myself and thrown away the key.” Was Devotion an attempt to unlock this or to unlock something? Has the exploration of a spiritual depth changed your relationship to writing? What a lovely question, and connection. Yes, I do think that writing Devotion was about looking for that key. Not in terms of my Orthodox upbringing, but simply the awareness that there was a part of myself that was locked away, and that I needed to find it. And I know no better way of trying to unlock doors, to find keys, than that of sitting down in a genuine, engaged attempt to write. Last, but not least. Why do you write? Because when I’m not writing, I don’t know what I think, what I feel, what I know. Because I meet myself on the page, the only way I know how.